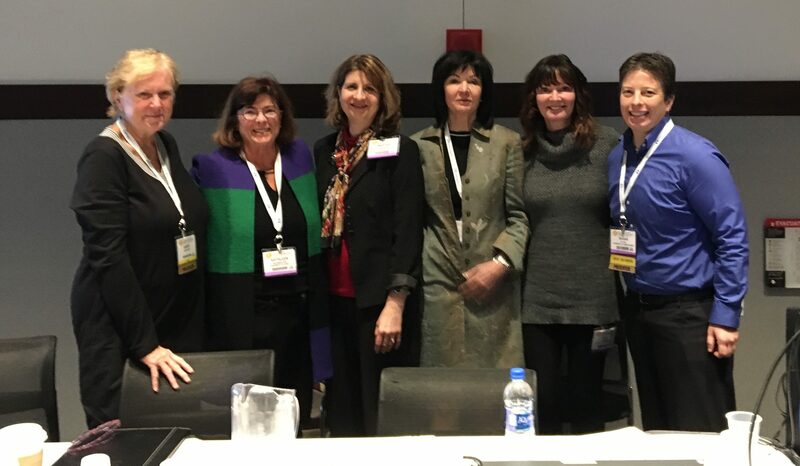 Dr. Shana Stites, far right, at the “Stigma in Dementia: It’s Time to Talk About It” Symposium at the national Gerontological Society of America (GSA) meeting last week. The more people know about how to care for a person with Alzheimer’s disease (AD) dementia, the less likely they are to expect others to react negatively to that person. That is one finding from the latest study by Penn Memory Center (PMC) Scholar Shana Stites, PsyD, MA, MS, who suggests that teaching caregiving skills could reduce public stigma of AD dementia and help caregivers. Dr. Stites’ work at PMC explores public knowledge of and reactions to AD dementia. In this particular study, older adults read a short story about a man with mild stage AD dementia and were asked how they felt about and how others would react to the fictional character. Additionally, respondents were tested on their knowledge of AD dementia. Some of those questions are specifically about caring for someone living with AD dementia. Dr. Stites found survey respondents widely varied in their knowledge about AD dementia, and specifically in AD caregiving. On average, the more survey respondents correctly answered questions about caregiving, the fewer expectations they had that the character would be socially distanced or encounter animosity from others. Dr. Stites is talking about what researchers call “spillover stigma.” The demands of caring for a person with AD – such as looking out for the person’s health and safety and assisting with his or her routine activities of daily life – can be a lot. And, these demands can be intensified when a caregiver has to contend with stigma. When people have greater knowledge of caregiving, they may worry less about stigma, which reduces their burden.